Jay Nickerson plays the determination and doubts of the Civil War General William Tecuseh Sherman in "Atlanta Burning Sherman's Shadows." Fringe shows went well and there appeared great reviews from Kansas City, Minneapolis and Indianapolis critics. Sherman’s Aide (Lynn Lohr) debates the General’s plans for Atlanta. The march of Sherman through Georgia is one of the critical points in the Civil War, and one whose scars are still felt in some quarters. In his one-man show, Lance Sherman Belville, a descendent of the general, has recreated his namesake at camp, getting ready to move into Atlanta. As the evening proceeds, he finalizes his plans, briefs his officers (we, the audience), and debates with his aide over the ethics and consequences of what he is about to do. There is much time dedicated to both the art and craft of war, the all-important logistics of supply lines, the dread algebra of human cost per mile gained. It is a fascinating look at not only the general but the man: well educated, lover of Caesar and Bonaparte’s histories, a gentleman who knew full well the ethical consequences of his deeds, but saw no better way to do what he knew had to be done. Mr. Belville’s work presents itself as based not only on historical fact, but also unpublished Sherman family history. This only enhances the intimate feeling of the production. It is a fascinating glimpse into a man who burned his way across the pages of American history. General Sherman (Jay Nickerson) decides to attack Atlanta. 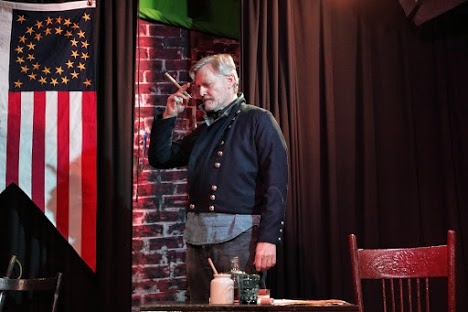 History Theatre founders Lance Belville and Lynn Lohr return to the Twin Cities after a lot of years with Belville’s glimpse into the mind of General William Tecumseh Sherman in the days before he laid siege to Atlanta. Framed as a conversation with one of his aides (played by Lohr, who also directs), the show features a grave, gravelly-voiced and quietly charismatic Jay Nickerson as Sherman, weighing his own doubts about a scorched-earth strategy with his duty to country. Elegantly written and deftly performed, it’s a deep dive into history, leavened with humanity. The playwright (performed by Jay Nickerson) considers Sherman’s Shadows. 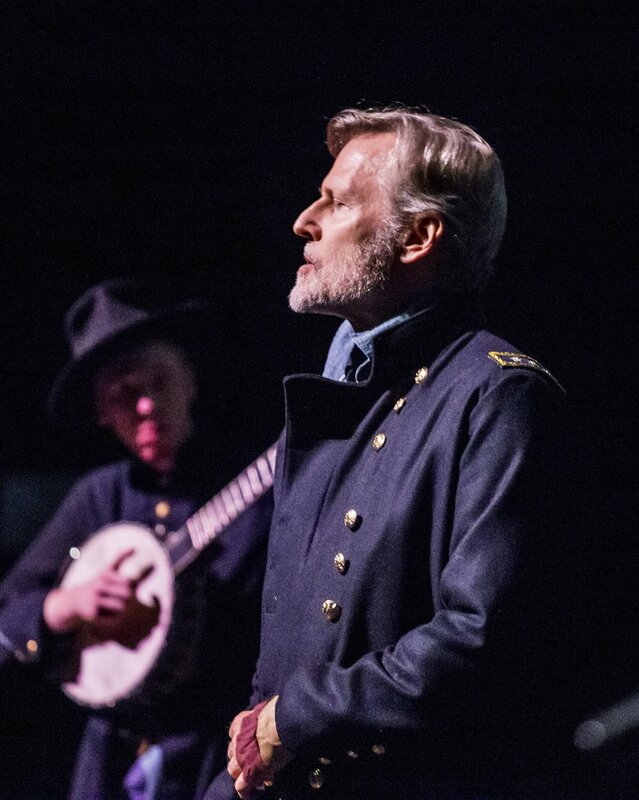 In sharp contrast to some of the song, dance and high comedy of the festival, Atlanta Burning is a serious presentation of the William Tecumseh Sherman’s march to Atlanta during the civil war. For those of you not familiar with the civil war, this is considered to be one of the turning points of the war. ”Deeper into the Atlanta Campaign. “Portrait of Sherman at a crucial moment. The team that brought you Qaddafi's Cook, playwright Lance Belville and director Lynn Lohr, now bring you Atlanta Burning. Watch the video below to hear about the kind of experience that Lohr and Belville deliver.